These earrings are 10K yellow gold. They have clear crystals. 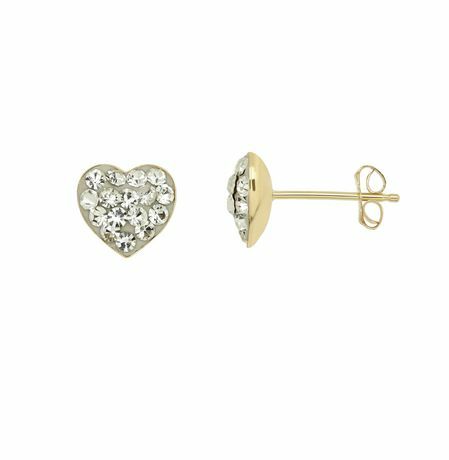 These earrings are in the shape of a heart. The earring backs are 10K yellow gold. These earrings are bound to steal your heart!